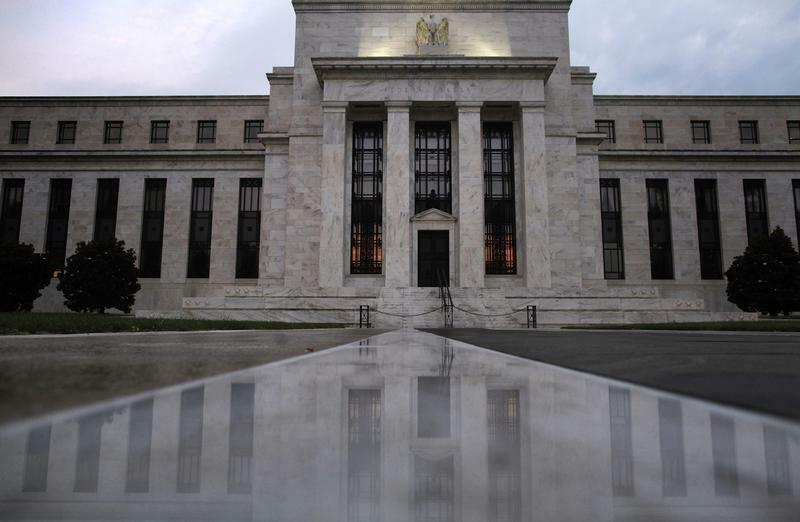 (Reuters) - The U.S. Federal Reserve decided to hold off on scaling back its bond-buying program on Wednesday, and at least one reason for its choice may have been a stubbornly weak economic indicator: bank lending. Since the bottom of the recession just over four years ago, commercial bank loans and leases have grown 4.0 percent, one of the weakest post-recession recoveries in terms of borrowing since the 1960s, according to Paul Kasriel, the former chief economist of Northern Trust Company. For comparison, over the same period after the July 1990-March 1991 recession, loans and leases grew over four times faster. "Given what's happening to bank credit and given that the economy isn't booming, I would say it was very wise that the Fed did not choose to cut back on its asset purchases at this point," Kasriel said in an interview. In recent weeks, residential mortgage lending has dropped and commercial lending growth has slowed as Fed officials have talked about starting to wind down their bond buying stimulus program. That talk of "tapering" spooked bond markets, lifting long-term borrowing costs. The Fed noted in its statement that mortgage rates have risen, and added that "the tightening of financial conditions observed in recent months, if sustained, could slow the pace of improvement in the economy and labor market." The central bank's statement underscores the narrow line the Fed must walk now between preventing asset bubbles and nurturing an economic recovery. As the Fed slows down its pace of bond buying in a program known as "Quantitative Easing III," it will cool markets that may be overheated. But it also risks making credit harder to come by, which could hurt a recovery that by many metrics looks tepid. Banks say they are more than happy to lend now, and that the real problem is that customers are less interested in borrowing. "The need for additional capital from the banking system isn't really there," said Perry Pylos, the head of commercial banking at Wells Fargo, about why corporations have not been drawing down their bank credit lines. A commercial lending executive at a large regional bank said, "we see more risk aversion today than we did three, four, five years ago." That risk aversion stems from doubt about future economic growth, and from big companies having other options for borrowing, most notably bond markets, bank executives and economists said. "Corporations have great balance sheets and just don't trust the economic recovery," said Ethan Harris, the co-head of global economics research at Bank of America-Merrill Lynch. The commercial loans that are being extended are going towards replacing worn-out equipment rather expanding production, said John Asbury, the head of Regions Financial Corp's business services group, at a conference hosted by Barclays Capital last week in New York. One of the areas hardest hit by these changes is mortgage lending. The 30-year home loan rate is now at its highest level since at least 2011, according to the Mortgage Bankers Association. With rising rates, applications to refinance mortgages fell in early September to their lowest levels since November 2008. "Mortgage is a challenge now," said BB&T Corporation chief executive Kelly King at the Barclays conference. To be sure, some bankers believe that the Fed's quantitative easing has done little to help them, and its ending will have little impact on them. "Adding more liquidity to a very liquid banking system doesn't do anything, so removing it doesn't do anything either," Wells Fargo's Pylos said. Nevertheless, the Fed may slow down its bond buying efforts amid a lukewarm economic recovery. U.S. unemployment fell to a 4-1/2 year low in August of 7.3 percent, but much of that is because fewer Americans are looking for work. The labor force participation rate, a measure of how many working-age American have a job or are seeking one, reached its lowest level since 1978. There are other signs of weakness, including the fact that consumer spending, new home sales, and durable good orders all weakened in July. The weak loan growth at banks looks even starker when compared to the money that banks have received in deposits, a measure of how much money banks could be lending. The eight largest U.S. banks by assets lent out 81.4 percent of the deposits they held in the second quarter of 2013, according to data compiled by Credit Suisse. That is well below the five-year peak of 104.2 percent in the second quarter of 2008 and even the below the 92.3 percent level of the second quarter of 2009 at the trough of the recession. Bank lending is "one of the important channels of monetary policy, and it's like a clogged pipe. It isn't really functioning," said Bank of America- Merrill Lynch's Harris.